If you’re using Watson Studio Visual Recognition, consider earning the Watson Studio Visual Recognition Essentials IBM Open Badge to share verified proof of your achievement. 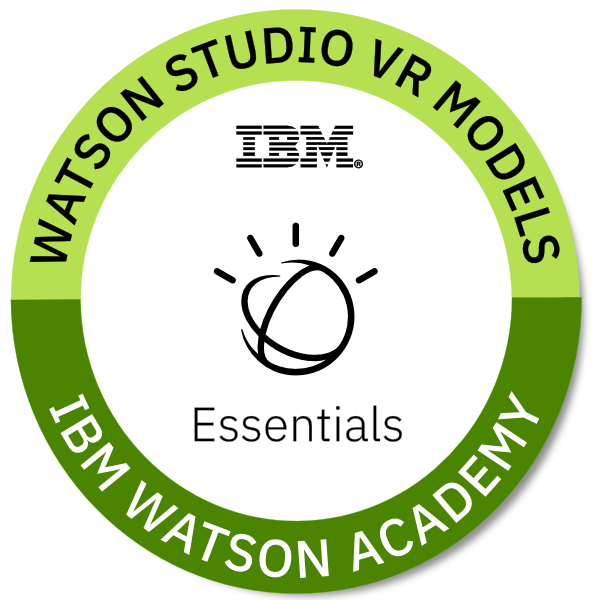 Additional Watson Studio badges are available for Watson Studio Essentials, Streams Flows, Dashboards, and Data Refinery. Find tutorials, articles, and other resources in the IBM Watson community.